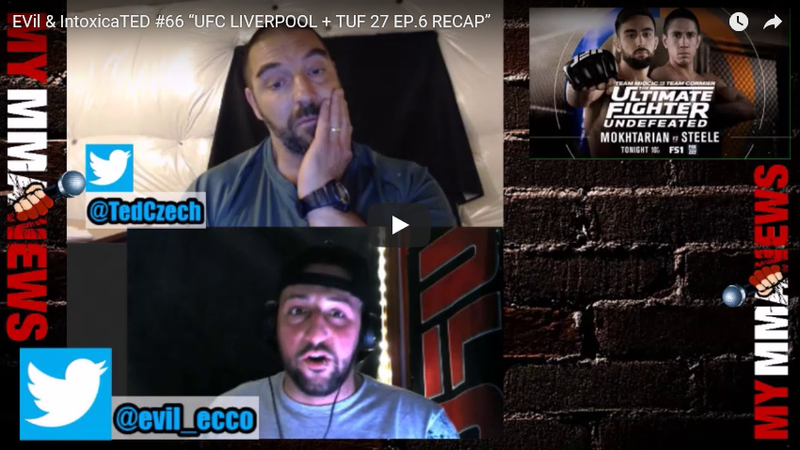 EVil Eddie and Ted Czech are back at it this week with a look back at this week in MMA headlines and a rundown on The Ultimate Fighter’s latest season Miocic vs DC. Someone gets BANaranged out of the chat and Colby vs RDA is brought up and dissected. We compare them to opponents like Usman or Till who also could be next in line for a title shot. Then we move to the Bellator 200 fallout with Cro Cop vs Roy Nelson 2 being discussed and finally ending on some predictions for this Sundays UFC Liverpool card. If you enjoyed this episode make sure to SUBSCRIBE to Pure EVil MMA on YouTube, Podbean, iTunes, Stitcher and NOW Available On Spotify Get all the latest Pure EVil MMA content at MyMMANews.com including daily MMA News from around the globe.